The KT03 is the result of our passion and expertise and we believe that what Kuota offer you is state of the art in the bicycle industry. 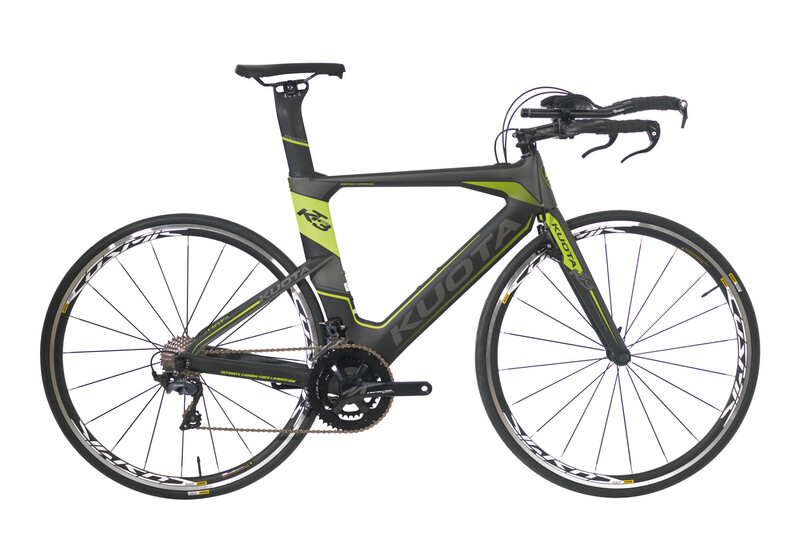 Ideal for the road cyclist who likes to compete in triathlons or time trials, but wants just the one bike. This bike has the versatility to switch between road and time trial set-ups. Steep seat tube angles ensures maximum power transfer for time trialling, whilst the taller head tube gives a little more comfort and stability for the road. Perfect for athletes wanting the power transfer and performance of a wind cheating bike without sacrificing comfort.